A cross-country move can be the adventure of a lifetime for you and your family, or it can be a nightmare when you attempt to do all the packing, loading, hauling, unloading, unpacking, and set up. Let a nationally known mover safely move your belonging from Washington, D.C. to your new home in Sacramento, CA while you and the family get on a train ride that will be the adventure they’ll never forget. Seriously, what could be more exciting than a leisurely ride across the country on a train? How many chances will you have to do it? Imagine using their sleeper car in instead of hotels and waking up in places you plan for a layover, like St. Louis, Missouri to visit the Gateway Arch and get on a riverboat. You could also spend a day in Las Vegas with its elaborate fountains and façades. You can visit the Eiffel Tower, the Pyramids, or take a gondola ride on the Venetian Canal. There are hundreds of destinations between D.C. and California worthy of a visit; you can take your time and see the sites. Some people like buses, but there’s nothing like the amenities available on a grand ole train. Plus, buses don’t have a sleeper car and meals. Moving can be stressful for every member of the family. Hiring a moving company, like North American Van Lines, is a grand idea, especially when you are moving across the country. The moves that are right around town, you could get a bunch of friends together on the weekend and get it done. But very few of even your best friends are going to be willing to help you move cross-country. First, you will need to collectively decide what to take, and what items are no longer required. You won’t want to spend a lot more than necessary to move stuff that will likely get replaced in your new home. During the move is not a good time to take a security blanket or stuffed animal from a young child. Moving can be tough enough, but it can be devastating to get to a new home and realize your favorite stuffed animal or security blanket was left behind. While we are on the subject of left behind, let’s talk about what to do with the personal belongings you no longer need. The old idiom, “one man’s trash is another man’s treasure,” comes to mind. Some items have outlived their worthiness, but some might still have value and should get donated to a worthy cause. As Jennie Lyon points out in her notes from mysweetgreens.com, “Donating your things is a great way to get rid of the things you do not need.” In that article, she details several methods to donate your family’s personal property to charities that can ensure they go to those in need. Probably the best solution is to donate those items to a church. Churches within the community are usually aware of those most in need of assistance, those who need a little extra help around the holidays. Plus, it would make you feel better about leaving those things behind, knowing they went to a needy cause. After you have decided what will go and donated the other belongings, you will need to decide to pack or let the movers do it. Making the movers do the packing is the best option for a long move. 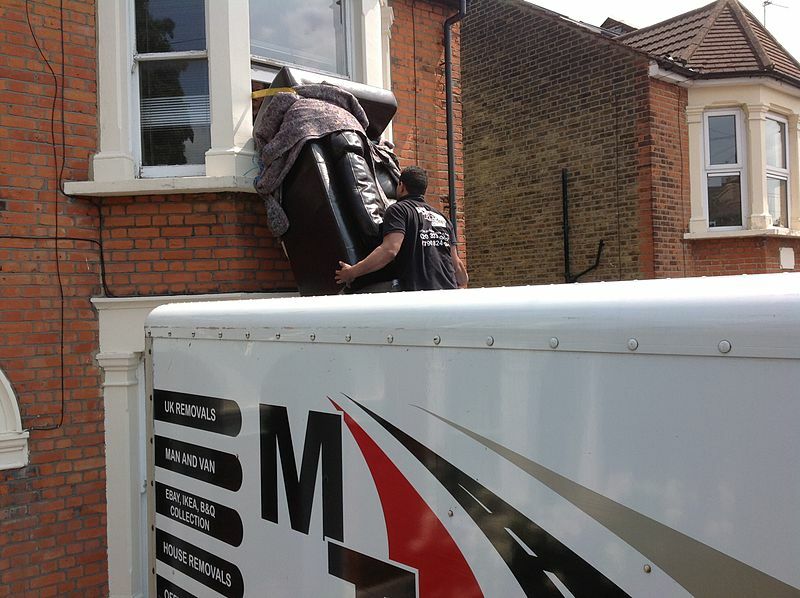 Rely on the experience of the movers to pack your things so that nothing gets damaged. They will bring all the packing materials, even custom pack your fragile items, like grandmother’s china cabinet. They can also transport the family vehicle. To facilitate the move, keep what you want to take with you in a separate locked room. You don’t want the movers packing the clothes you plan to wear on the trip. Now that your grand cross-country adventure is over, it’s time to ready the new house for occupancy before the movers arrive. Planning where everything needs to go in your new home will make the unpack easier on everyone. The last thing you want is the kids fighting over which room is theirs while the movers are bringing in their things. Although most nationally-known movers have an excellent reputation for getting your things where they’re going with few complaints, the Federal Motor Carrier Safety Administration’s (FMCSA) National Consumer Complaint Database received more than 4,000 complaints about delayed deliveries and other moving nightmares. Get prepared for your move to avoid the stress of moving and enjoy the trip with your family.